PUMPKINS: 5 Easy Science Activities! Autumn isn’t complete without a trip to the Pumpkin Patch! We went this week with our local MOMS Club chapter, and the kids each got to pick a pumpkin out of the field. They were so pumped about exploring their new treasures that I decided I would sacrifice a portion of my fall decor in the name of SCIENCE. Measurement is a hands on way to build early math skills! Use a flexible measuring tape to measure the diameter of your pumpkin, and a food scale to measure its weight. Toddlers will practice motor skills by holding the tape and preschoolers will practice reading and writing numbers. Have kids make a hypothesis about which pumpkin will be the largest or an estimation of the pumpkin’s girth or weight. Use this great printable Data Sheet from JDaniel4smom.com to record your pumpkin measurements and other observations! Pumpkins are pretty heavy, but will they sink in water? Have kids make a hypothesis about whether the pumpkin will float or sink. Ask them to back up their guess with a reason (this is always the tough part!). Check out the Titanic Game from StayatHomeScience.com for another fun Sink or Float activity! Gooey pumpkin guts are fun to explore with all five senses! If you hate the idea of messy pumpkin guts everywhere, you can place the innards in a gallon Ziplock to make a Sensory Bag! Turn the old baking soda and vinegar experiment into fall fun by turning your pumpkin into a volcano! Baking soda reacts with vinegar in a chemical reaction that produces Carbon Dioxide gas in the form of bubbles. You can produce a similar reaction by mixing baking soda and lemon juice. Have the kids hypothesize which combination will make a larger reaction and then test it out! If you are tired of the traditional baking soda and vinegar, you can make Fizzing Foam erupt out of your pumpkin instead! 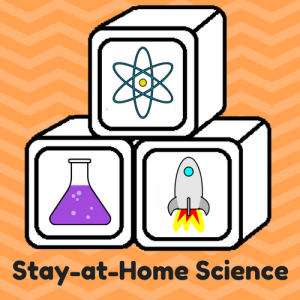 Click here for the full FOAM instructions from StayatHomeScience.com. As anyone who has left a Jack-o-lantern sit for a week on their front porch knows, open pumpkins will start to rot! Have kids observe the open pumpkin daily to look (and smell!) for changes as the organic material breaks down. Use tools such as a magnifying glass and tweezers to explore the mold growing inside the pumpkin. Click here for more details from LittleBinsforLittleHands.com and a fun book to pair with this experiment. Next Post Candy Canes and the Scientific Method! At my house we do well with the “decomposing pumpkin” lesson. Add to that the “pumpkin plant sprouting out of the compost pile” lesson the following spring! These suggestions would be great for homeschooling families or I would like to see it happen even in preschool after the fall field trip. I agree that it would be perfect for a preschool class after the pumpkin patch! 😊 Thanks for your comment. As a scientist, I cannot tell you how cool these ideas are. I wish I had thought of these when my kids were young. Always a great way to have fun while learning. I love all these ideas. We’re heading to the pumpkin patch soon and will have to give these a try. Oh, I totally love this post! I am all about making everyday activities at home with your kids fun AND educational, and the teacher in me can’t wait to do these with our kids! These are great ideas! I will have to use these. We bought pumpkins yesterday. Family project time! Keep checking back for more posts about fun learning experiences about chemistry, human biology, and earth science. Your kids are never too young to start using BIG WORDS!! Spinning and sparkling. Happy birthday to my big 3 year old!